With over 200,000 lakes, 27 million hectares of forest, tens of thousands of islands, and 1700 national parks and nature reserves including Europe's largest protected area, Sweden is the perfect choice for an active holiday. Convenient transport connections from the UK mean that this vast and beautiful country is both exotic and accessible. 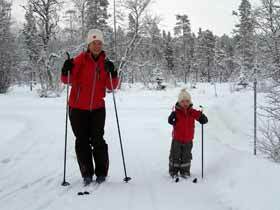 Nature Travels specialised exclusively in Sweden when we began, and we work only with small-scale, local providers. 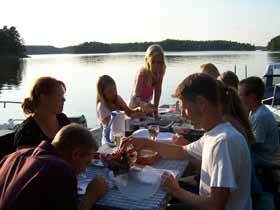 We offer a wide range of outdoor ecotourism holidays in Sweden, from canoeing to dog sledding to romantic log cabin breaks, whether you are a solo traveller, family, private group or sports club. From the warm, endless days of summer to the deep snows of winter, Sweden is an ideal destination for year-round outdoor adventures! 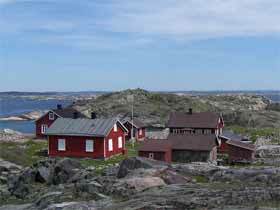 The Stockholm Archipelago offers a perfect combination of remoteness and accessibility. It is made of around 24,000 (or 30,000 by some estimates!) islands, islets and skerries, only about 150 of which are inhabited year-round. The character of the landscape varies from the thickly wooded islands of the inner archipelago to the bare, flat, rocky landscape of the central and outer areas. 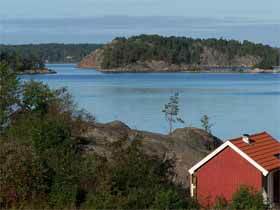 If the weather is cloudy in the capital, there is a good chance that you will find sunshine out in the archipelago. Sweden covers an area of 173,731 sq. miles, twice the size of Britain. 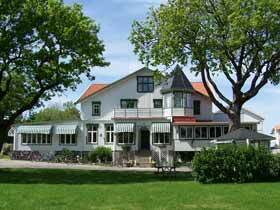 It is the largest country in Scandinavia and the third largest in Western Europe. 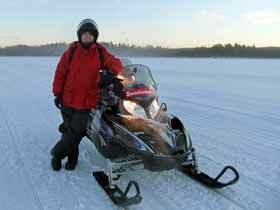 The country stretches from the Baltic Coast in the south up into the Arctic Circle. Over half the country is covered by forest, with the deciduous forests of the south slowly giving way to ancient pine forest and mountain birch in the north. Sweden contains an incredible 96,000 lakes. In the forests and mountains of northern Sweden lie the National Parks of Sarek (renowned as one of the last areas of untouched wilderness in Europe), Padjelanta, Stora Sjöfallet (pronounced "Hwerfallit" and meaning "Large Waterfall") and Muddus. Together they make up Laponia, a 9400 square kilometre area rich in nature and the persisting Sámi culture. In 1996 Laponia was declared a World Heritage Site by UNESCO. While much of Sweden does indeed provide fairytale winter conditions, summer in Sweden is also a glorious experience, with the country having a temperate climate in spite of its northerly location thanks to the Gulf Stream. There is usually less rain and more sunshine during summer than in Britain. Sea temperatures in the summer are slightly higher than the English Channel. Temperatures in Stockholm can reach the high twenties in summer. In northern Sweden from mid-May to late July it never really gets dark. The table below gives average temperatures, but please note that actual daily temperatures may be very different. To see the latest weather information for Sweden, visit the Swedish Meteorological and Hydrological Institute. As an ecotourism company, we hope that you will choose to take trains and buses whenever possible as you travel around Sweden. However, cars do offer a degree of independence and allow access to certain areas hard to reach by public transport. If you do decide to drive in Sweden, there are some things that you should be aware of, for the sake of safety, ease of travel, and the environment. You may find our FAQs on driving in Sweden of interest. Sweden has a population of just 9 million, of which 3.4 million live in or around the three largest cities: Stockholm, Gothenburg and Malmö. 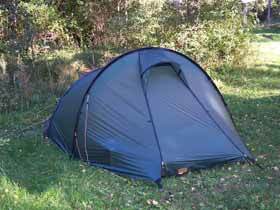 Sweden is justly famous for its Right of Public Access, "Allemansrätten" or "Every Man's Right", which allows a great deal of freedom of access to the countryside for walking and camping. It can be summarised by the phrase, "Do not disturb, do not destroy." However, it is a right that requires responsibility, consideration and good judgement. 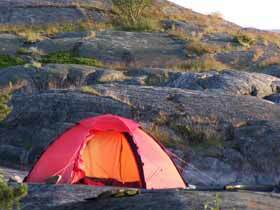 For more see our FAQs on Wild Camping and the Swedish Right of Public Access. Å, Ä and Ö - the sounds of Swedish: å is pronounced like "or", ä like "air", and ö like "er", all without the "r" sound. Mosquitoes ("myggor" in Swedish) are a very important part of the ecosystem, as they are a source of food for many animals, especially birds. Mosquitoes can be a problem, with numbers normally highest in north, though mosquitoes are found throughout Sweden. The number of mosquitoes varies from year to year depending on the rainfall during spring and early summer, appearing around mid-June and disappearing again towards the end of September with numbers lowest at the beginning and end of the season. Since mosquitoes like water and birch forest they are not often found on the high plains away from the mountain stations. Midges in Sweden are mainly found in the far north of the country. However, to make your experience more comfortable, we recommend you use a good mosquito repellent and be sure to take long-sleeved tops and trousers as well as a hat for those dusk hours when mosquitoes are most common. If you are particularly bothered by mosquitoes it may be useful to bring a mosquito net for your face. Please see our blog article for more information on mosquitoes in Sweden. Sweden is a member of the EU. UK citizens do not require a visa* to visit Sweden, though you should have a valid passport. For general travel advice for Sweden visit www.gov.uk. Electricity supply is 220V (230V) 50 Hz. *NB: Following Britain's exit from the EU, there may be changes regarding entry requirements for UK citizens, particularly with respect to required passport validity period and possible visa requiremnets. Please obtain latest information before travelling and make appropriate preparations well in advance.